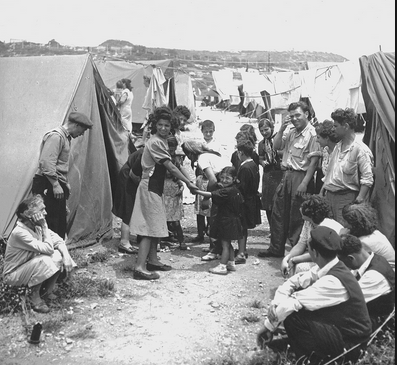 Between 1954 and 1956, a wave of 70,000 Moroccan immigrants arrived in Israel. Even before immigrating, writes Anita Shapira in her new book Israel: A History, they were forced to “sign an agreement to settle where they were sent.” Upon their arrival, the government sent them to poverty-stricken development towns. Eventually Palestine is conquered by the British, who promise the Jews a national homeland but quickly retreat from their promises and obligations. The Jews meet with hostility from the Arab population: “Cooperation in business and even shared leisure activities that existed to some extent during the Ottoman period became increasingly rare.” The author relates how other political groups grew up under the Zionist umbrella, including Ze’ev Jabotinsky’s Revisionist movement. In addition, the author makes excuses for the government’s discrimination against Sephardi Jews, arguing that “it would not have been possible to transfer many different populations so culturally diverse in such a short time,” and refers to the Mizrahi immigrants’ “sense of being insulted and discriminated against” – as if they were exaggerating their plight. Really? Was “achievement-oriented” culture unfamiliar to Ethiopians? And why is it that Moroccan and Iraqi Jews are described as having no “inclination toward agriculture” and an inability to do “physical work”? Russians, meanwhile, are described as having a “right-leaning tendency [which]… grew out of the mentality of people who had been citizens of a great power” and sought to “create a political framework that could protect their interests.” Shapira’s accessible survey of Israeli history provides a thought-provoking text for those unfamiliar with the Jewish state. However, a new history of the country needs to take in the full spectrum of diverse groups in society and their different cultures.